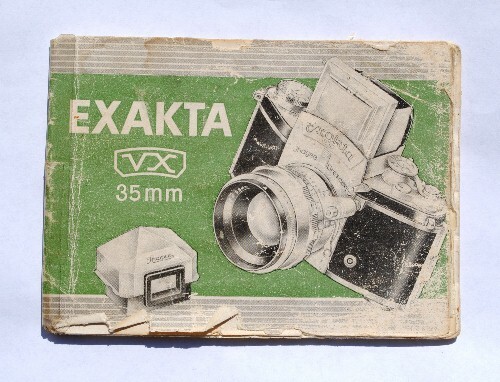 Here is an original instruction manual for the Exakta VX 35mm Camera. The physical condition of the book is very worn and used. It is stained on almost every page. It is ripped and torn around the edges of almost all the pages. Tape is holding it together. There is tape on the top corners of the first half of pages and the back cover is taped together. There are a total of 57 pages. The actual manual is pictured here so you can see exactly what you will get.